Imagine a furnace that not only makes you feel perfectly comfortable, but will make you feel even better about your decision month after month. That's the power of the SLP98V, which uses exclusive Precise Comfort™ technology to significantly reduce your heating costs. Imagine a furnace that not only makes you feel perfectly comfortable, but will make you feel even better about your decision month after month. That’s the power of the SLP98V, the most energy-efficient furnace you can buy. 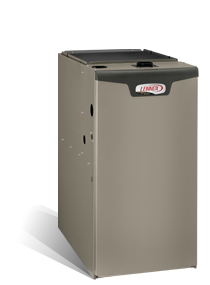 Compared to a standard furnace, it can dramatically lower your utility costs. And because it’s engineered to be virtually silent - even when running at full capacity - it’s also the quietest furnace you can buy. The industry’s most innovative heating system makes time at home with family and friends more enjoyable. And that’s something you can feel really good about. The highly efficient variable-capacity system saves energy and reduces energy costs. It operates much like the cruise control system of high-performance automobiles, automatically making adjustments as necessary to allow maximum fuel efficiency. The SLP98V furnace can also increase the efficiency of your cooling system by up to one SEER point - saving you additional money on your cooling bills. Unlike conventional single-stage furnaces that always run at full speed, the SLP98V’s variable-capacity system quietly ramps up to speed, so there are no loud blasts of air at startup or any other point of operation. Thanks to Precise Comfort technology and the variable-capacity system, the SLP98V, while in “Fan On” mode, can provide continuous air filtration for two-thirds the cost of a standard single-stage furnace. During warm-weather months, when the furnace acts as an air-delivery system, this technology helps your air conditioner or heat pumps remove excess moisture from the air. 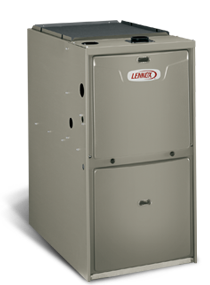 When taking control of your utility bills is a priority, but you don't want to sacrifice comfort, the ML195 furnace is a perfect fit. It is the ideal combination of energy efficiency and affordability.